Whether Or Not More Laptop Battery Cells Produce More Power? According to the specifications of laptop battery, we can see that output power is related with battery cells to some extent. 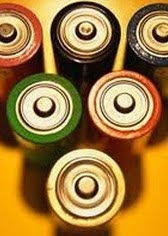 Does it mean that more cells are equal to higher output power to all the batteries or there’re still any other factors? Nowadays, many laptop brands choose certain cells suppliers, Sony in common, as their business partner instead of manufacturing by themselves. From the phenomenon, we can figure out that what determines laptop battery capacity, permutation more than cells features. Actually, batteries with different output voltage and current can be produced by the same cells inside, such as IBM Thinkpad T30 battery and T40 battery. In theory, more laptop battery cells are more likely to produce larger power energy. Normally, the cells in parallel circuit determine the output voltage while those in series circuit determine the output current. Compared to IBM Thinkpad T30 battery, the 9-cell IBM Thinkpad battery for T60/R60 Series is with higher power energy with same output voltage. Nevertheless, only the rows of series circuit that are connected with output current of laptop battery, even if they have different cells in parallel circuit. For instance, the 6-cell IBM Thinkpad T30 battery is of 10.8V and 4400mAh by 3 cells in parallel circuit and 2 cells in series circuit. Similarly, as a 9-cell IBM Thinkpad battery owns extra 3 cells by additional parallel circuit, it is of 7200 mAh and 10.8V as such. If we calculate output power of laptop battery by current and voltage (P=I*U), the assumption has established. However, if it occurs to be another formula (P=I2*R or P=U2/R), it comes to be different. That is to say, inside the battery, any other components are necessary to determine the performance and compatibility. Otherwise, even more cells added will be reduced rapidly by them.